Political Spin Removal: Whither Pakistan? 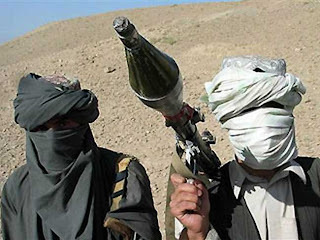 The Taliban have advanced from the lawless tribal areas of Pakistan to within 60 miles of the capitol, Islamabad. 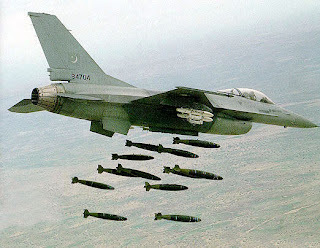 What we do not need is for the Taliban to have a nuclear weapon. These puritanical extremists are utterly irrational by Western standards and cannot be reasoned with. Amazingly, this story has not received much attention in mainstream western media. Today the New York Times reports that the Pakistani government is finally sending in troops and aircraft against the advancing Taliban, albeit only “paramilitary” forces, not regular army. Is it yet another half-hearted effort or do they mean it this time? There is evidence and rumors that the Pakistani government is actually sympathetic to the Taliban and that the Pakistani intelligence agency (ISI) has aided and abetted the Taliban in the past. Surveys show that most Pakistanis are ambivalent about the Taliban. Most of the Muslim terrorist training camps are in Pakistan. So it is difficult to be sanguine about the earnestness or effectiveness of the government’s effort. According to the Wall Street Journal, House Democrats are now considering whether to speed up financial aid to Pakistan to help them fight. Nearly two billion dollars are destined for Pakistan by later this summer. The question being considered is whether some of that money can be released early, like right now. This is a story we have heard before. We funded and armed the Taliban in Afghanistan when the Russians invaded it. Look how well that turned out. We funded and armed Saddam Hussein against the Iranians in the 1980’s. We have done the same thing many times before in many parts of the globe. Geopolitical expedience comes back to haunt us. Very often the weapons end up being turned against us, but even when they do not, the culture certainly does. We have done it in Iran, Nicaragua, Panama, … the list goes on. So far, we have gotten away with arming and propping up Israel; an exception to the rule. But Pakistan? They are halfway over to the Taliban side already. It is only a matter of time. Why don’t we put the $2billion into Afghan border security and let Pakistan fend for itself. If regional players do not care if the Taliban takes over Pakistan, and Pakistan itself doesn’t seem to care much, then why should we? We don’t want a nuclear Taliban (or a nuclear Iran either, or North Korea), but we cannot single handedly hold back the tide. Maybe we should be supporting India more, defending the Afghan borders, and getting ready to respond to a limited nuclear war in the middle east.